Many years ago Subdhra Chori visited Shirdi, in the afternoon she sat in the Dwarka Mai and chanted Baba’s name with utter devotion. She wondered how the sanctum sanctorum must have looked like in the bygone days. How did Baba look at that time? Would Baba ever grace her with a vision of himself as he was then? Then she went and worshiped all the other holy sites. She then went to Samadhi Mandir to attend Sej Arati, but as there was about ½ an hour left she thought “Let me go and see what Dwarka Mai looks like at night. The Dwarka Mai was light up by the light from the ever burning lamps and the blazing Dhuni Mai. Then she saw Baba wearing a white kafni he was pacing about with his hands behind his back. In wonder she said, “Baba its’ you?” He replied, “Come my child. I was waiting for you. You wanted to see me and my Dwarka Mai isn’t it?” Subdhra prostrated at his feet, and he lifted her by her shoulders. He continued, “I’m pleased with your devotion. I want you to know that I am present in every picture in your home. My devotees will come to you and according to their faith I will answer their questions. When ever some one speaks ill of you keep quiet, because they have dug a hole for themselves. Many spoke ill of me. Have faith in me” Just then the Sej Arati started and he left saying that he would meet her in Lendi Baugh the next day. 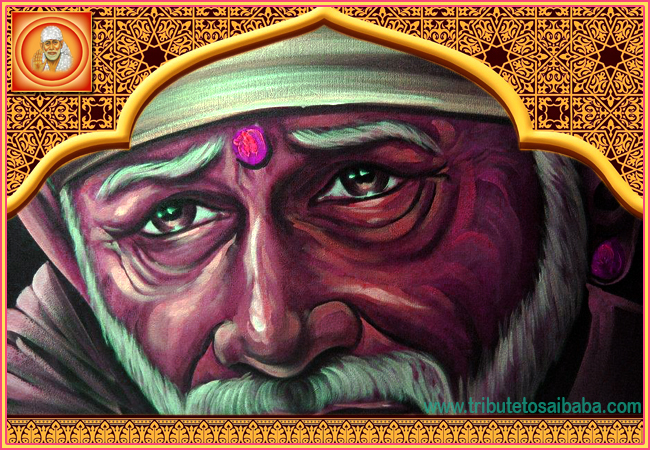 The next morning she went to the well in Lendi Baugh and saw Baba sitting on its rim. He said, “Child this well is the origin of all the sacred rivers, but no one offers a coconut to it. Then how can I give water to people. After some time the water won’t be seen in it, as it will start drying up. Don’t ever stop worshiping this Pipal tree. Don’t forget the Audambar tree it’s the resting place of Lord Guru Datta” Then he told her many important facts, medicines and remedies and asked her not to reveal them without his consent. Then he asked her to promise that she would keep them a secret. Then he walked to the Gurusthan and she followed. Finally he said, “You will come after three years along with my Prasad”. Indeed three years later she came to Shirdi with her son named “Chandan Prasad” and her child was placed at the feet of Baba’s idol in Samadhi Mandir. Here Baba is confirming the sacredness of Shirdi. Ref Sai Prasad Magazine Guru Purnima issue 1990.